By Roddy. This book uses some imaginative fiction in recollecting Lee's boyhood since little is known about him, but the author strives to maintain every bit of historic accuracy. Lee's life is well documented from his teen years on and all names, major events and places are real. 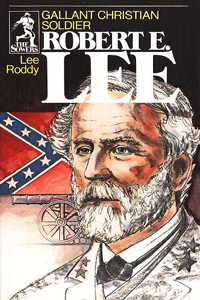 Above all, the author shows how Robert E. Lee found the source of his strength and commitment in Christ.